Details sketchy – However, as previously anticipated this action could easily be seen as Turkish President Recep Erdogan working diligently to keep the ISIS supply lines open. Turkish F-16 fighter jets shot down a war plane of unknown origin on Tuesday after it violated Turkish air space close to the Syrian border and ignored warnings, a Turkish military official told Reuters. UPDATE: Turkish fighter jets shot down a warplane near the Syrian border after it violated Turkey’s airspace on Tuesday, a Turkish military official said, but the nationality of the downed aircraft was not immediately clear. Both Russia and its ally, Syria’s government, have carried out strikes in the area. A Syrian military source said the reported downing was being investigated and Russia’s defense ministry was not immediately available for comment. This entry was posted in European Union, ISIS, Islam, Military, NATO, Russia, Syria, Turkey, Uncategorized. Bookmark the permalink. 1) Each and every strike groups’ operation is to be carried out under the guise of fighter jets. 2) Air defense to be boosted with the deployment of Moskva guided missile cruiser off Latakia coast with an aim to destroy any target that may pose danger. 3) Military contacts with Turkey to be suspended. 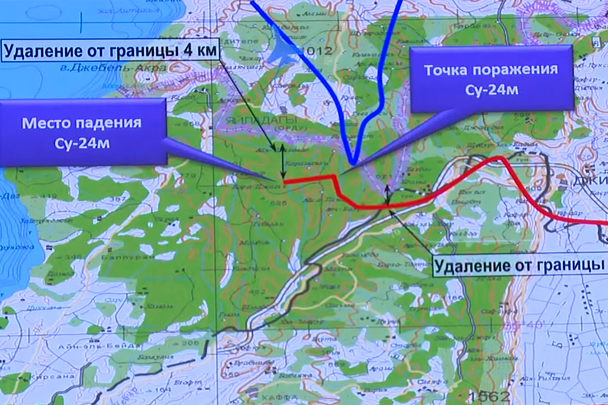 Russian General Staff representatives said on Tuesday. from article: *Rudskoy said the Russian warplane did not violate Turkish airspace. Additionally, according to the Hmeymim airfield radar, it was the Turkish fighter jet that actually entered Syrian airspace as it attacked the Russian bomber. yes, it’s a “he said, he said” battle until someone produces the evidence. Who knows which will be the factual evidence? Obama’s fingerprints are all over this. The U.S. has been boiling mad since the Russians upped the air strikes and bombing runs and took out the ISIS controlled oil refineries and slaughtering our Al Qeada fighters. I have no doubt Obama told Turkey to go ahead and send the Russians a message. But it’s the wrong way to send a message. Because Putin will get even with both groups. Those idiot Turkmen who took out the Russian S&R chopper will pay dearly for it. Obama’s fingerprints, or rather the stench of failure that is the hallmark of his presidency. It’s disgraceful to see the power and prestige of the United States in the hands of such an affirmative action incompetent. It’s Detroit level government with global reach and military power. No matter what “he said or he said” it was just plain evil to shoot men out of the sky and then shoot down their rescue helicopter. As Hillary would say, and as she should say today loud and clear – that is not the kind of people we are. exactly. since Russia is not at war with turkey, and therefore turkey is not in any danger from Russia, why shoot their plane down? I understand protecting your airspace if the intruder is a threat to you. not the case here. A more civilized way of handling the situation would be to send representatives to a meeting and let them yell at each other. Hm, but they may have already done that. Well, after all, there are lots of folks saying WWIII is in process. They are looking smarter every day. Well the foreign/military policy nitwit Rubio should be happy as he wanted to start shooting down Russian planes for his shariah loving and Christian killing “rebel” friends in Syria. AMEN! Also, Cruz will probably make some indecipherable statement intended to placate the neocons while lamenting the shoot-down. “Nationally renowned radio host Rush Limbaugh just made a huge move of support for my campaign…even going as far as to defend me on national television! I can’t thank Rush enough for his supportive comments. And while Rush reaches millions every day — it is your support I’m writing to ask for today. Every day, for at least two weeks, at least two emails indicating they are from Ted or Heidi Cruz. Money, money, money……..Cruz’s campaign is just like Obama’s. Throw out a few key words or well known patrons and ask the American people to believe that a smooth talking lawyer is the “be all to end all”. Some bloviating Big money Republican Elite was on Fox Business this morning, touting the fact that he has now put all his money on Rubio. The gentleman stated that while Jeb Bush would make a good President, Marco Rubio would be a great President. When asked about Rubio’s lack of foreign policy knowledge, big money stated, “Rubio sits on the Select Committee for Intelligence”. There you have it. Big Money Elite betting the country on a Freshman Senator who is bought and paid for by a billionaire “sugar daddy” is going to be touted as “Great” because he sits on a committee in Washington DC and he will abide by the wishes of those who have bought into Rubio as the savior of the RNC & GOPe. I wonder if it was the same guy who was just on Neil Cavuto, Frank Vandersloot. Wow moogey, that sounds just like Obie’s rise! Turkey should be EJECTED from NATO from acting the way its acting. They have pushed hundreds of thousand of refugee north into europe. And now this act of aggression on Russia for being passing a few seconds over a tip of its airspace ? From what I get : Turkey claimed this area from Syria, but this land grab was never recognized by Syria. So in Syria, the map show this tip be be part of Syria, not Turkey. 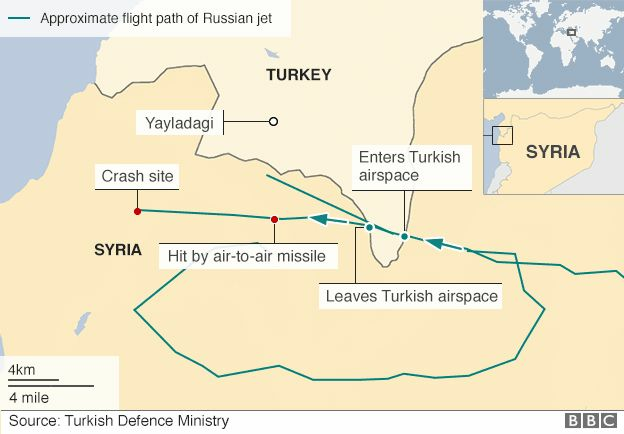 Turkey also claimed it had been warning the russian aircraft for several minutes to change course before it entered airspace (supposedly for all of 17 seconds), doesn’t line up with the proposed flight paths. I never could figure out why NATO decided that including Turkey was a good idea. Well, Turkey was one of the key elements of containing / limiting the USSR. It may return to the role when/if it comes to containing/limiting Russia. We’ve got a lot more in common with Russia than not. I really think that once Trump is elected, the relationship will change, and the two countries will work together for the most part. I believe Putin (and other Russian leaders) will have VASTLY more respect for Trump than they do for Obama. Turkey is doing to NATO what Muslims are doing to NATO member states. Ruining it. I wish we had a separate thread for Obama’s sham earlier today, which the media calls a News Conference. Obama steps up and gets tough, calling out the Muslim Terrorists! He now calls “ISIL” a “GROUP”. How Terrorifying!! The other day a Group of Boy Scouts were setting up their annual Christmas Tree lot in the little town where I live and I was scared to death – there were FIVE of them and I was by myself. I didn’t know what to do, so I stepped on the gas and sped to the grocery store. On my way home, I took the back road because I like to avoid conflict. We’ve faced greater threats to our way of life before … Blah, Blah, Blah. Make no mistake … We will win and GROUPS like ISIL will lose. Hopefully Putin brings the pain to Turkey. Let’s revive Constantinople as a Christian city again. Just heard a sound byte from commander obozo.. Says ISIS ( yes he did indeed say Isis rather than ISIL) & he now states that Isis must be DESTROYED.. I always knew this guy would throw his friends under the bus..
Can you find the url and share it with us? It would be interesting to hear the word “ISIS” coming from the purple lips of the usurper in the WH. Interesting possibility that it’s code. Sorry if this has already been posted, but I was totally shocked and disgusted with what Rubio said. I’ve never not been shocked and disgusted by anything Rubio has said. I really can’t stand the thought of yet another metrosexual pajama boy as president of the USA. It’s shocking to hear someone running for president of the US advocating such a crazy position. Who is advising him to say such a thing???? His neocon owners like Sheldon Adelson and Norman Braman. It’s not the sons of any of these elites that have to do the fighting. Marco Narco Rubio is nothing but a Junior Senator. Being a Junior disqualifies him from being President. Americans already learned that Barack Obama was a Junior Nothing Burger and was in no position to be president of this great country. He got there on special interest – his skin color, affirmative action. The exact same thing can be said about both Rubio and Cruz – they are Junior Senators with minimal significant experience running a hot dog stand nevermind a country! The country has gone insane desiring another barely formed moth pupae to be president! Scumbag Rubio, like Fiorina and others, want to start WWIII… over NOTHING. I’m lucky to be here now, seeing how close I (and hundreds of millions of others) came to getting wiped out when I was a little kid in 1962. Back then I had no say over what the scum on both sides of the equation were threatening to do to the world. But now I have a say, and people like Rubio are NOT gonna have the last word. Totally. 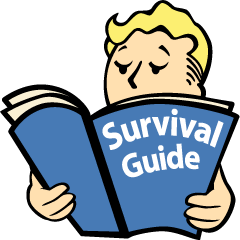 People do not understand how much easier things are now, compared to the cold war years. And yet the knee-jerk neocons and clueless neoprogs are both just itching to screw up the world. It’s very easy for the left to see Bush’s mistakes, and for us to see Obama’s and Clinton’s mistakes, but only people like Trump see both. On Monday night, five people suffered non-life-threatening gunshot injuries when at least one person opened fire on a crowd outside the Minneapolis Police Department’s 4th Precinct building, authorities said. This is just great. Turkey is an Islamic state that is going more fundamentalist everyday. Russia, after Stalin, has become a Christian state and Putin sees himself as a defender of the faith. What could possibly go wrong. Let’s see the data records from the ground radars and AWACs aircraft to see.if the Russians were actually violating Turkish airspace. Looks like even if they did, it was only a few miles, for maybe a minute or two. ZERO threat to Turkey… they were just LOOKING for an excuse, any excuse. Sorry, but right now if it comes down to Obama/Turkey vs Russia, I’m absolutely on the side of Putin. The Russians have been good at assassination. Do the Turks and the world a favor. Eliminate Erdogan, Obama’s sweetheart. What they did in that terrorist/theatre/hostage situation a few years ago… just hard-core to the max. At worst (Russians), the aircraft never entered Turkish airspace. Russia has been flying their jets over other territories, near ships and on and on. This time, they got shot down. Hopefully, this will be a warning to them.